Women Warriors - Female Samurai in Ancient Japan? In order to study the depths of martial arts concepts as taught in TSIR, it is important for pratitioners to become well-rounded in the martial art way. While physical patterns are easier to pass on, what is not as easily passed on are concepts, strategy and non-aggressive ideas as were previously taught in order to balance the physical. Expressing deeper concepts was done through things such as poetry, storytelling and physical application of these concepts. Cultural differences in expression and teaching can be understood between two cultures but only through sincere efforts by both student and teacher. This understanding of mental and physical development, is what the past leaves to us to protect and enrich our daily lives. While today's practitioners are in no way samurai, lessons learned from these teachers can be useful in our daily lives. Shinto is the native religion of Japan, woven through hundreds of years of history and found in shrines and sacred natural places throughout the country. To Kensington resident Shiro Shintaku, the faith's association with Japanese aggression during World War II was a short-lived perversion of its original peaceful ideals. Shintaku, 62, is studying to become the first Shinto priest in the Washington area. He is also a longtime teacher of martial arts, and assists his wife in working with the International Shinto Foundation to share Japanese culture and beliefs abroad. The time of the samurai begins around the year 1050 with feuding clans and fifedoms throughout Japan. Eventually, Japan unifies under the first Shogun - Minamoto Yoritomo (1147-1199). Minamoto Yoritomo was named shogun in 1192. He established his bakufu (headquarters) at Kamakura and established a central government, sponsored zen buddhism and the values of bushido (warriors code). His wife Hojo Masako then assumed power after his death in 1199. Hojo Masako is famous in Japanese history as the "Nun Shogun" (1157-1225). In keeping with customs of the time, Hojo Masako became a Buddhist nun upon the death of her husband in 1199. After Yoritomo's death, Hojo Masako along with her father and son, usurped the real ruling power from her dead husband's ruling Minamoto clan to her own Hojo clan. Her efforts gave the Hojo clan true power over the now 'puppet regime' Minamoto clan [Kamakura period 1192-1219]. Later in 1281, Japan's Kamakura warriors successfully repelled attacks from the Mongols with divine help known as "kamikaze" or divine (kami) wind (kaze). As the Monguls were attempting for the second time (first was 1274) to conquer Japan, the ships of the Mongols were sunk by a storm in Hakata Bay - hence the thought of a 'divine wind' that was sent to save Japan from Kublai Khan and his invading Mongol hords. The next ruling clan was the Ashikaga, with their capital at Kyoto (1338–1597). The Ashikaga were descended from the Minamoto family, loyal to Emperor Go-Daigo and successfully rebelled in 1333 against the last Hojo shogun. The third Ashikaga Shogun Yoshimitsu (1358-1408) built the famous Golden Pavillion (Kinkakuji) of Kyoto and was known as a great patron of the arts. 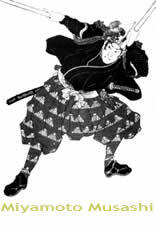 Three of the most widely recognized names today are Oda Nobunaga (1534-1582), Toyotomi Hideyoshi (1536 -1598) and Tokugawa Ieyasu (1542-1616). Oda Nobunaga was mainly responsible for achieving the unification of Japan; the modernization of Japan's military and economy changing it from one of farming to manufacturing and services and developing the warrior class structure. He was also known for building many castles and supporting the arts. However, in June of 1582 Akechi Mitsuhide assassinated Oda Nobunaga at Honnoji Temple in Kyoto, sadly just prior to Nobunaga officially receiving the title of Shogun from the Emperor. Interestingly, while Toyotomi Hideyoshi was the undisputed ruler of Japan, he never actually took the title of Shogun, instead he took the title of taiko - similar to prime minister or regent. He avenged the death of Nobunaga by killing Akechi Mitsuhide and went on to build Osaka-jo. Tokugawa Ieyasu's victory at the Battle of Sekigahara (1600) ushered in his reign as Shogun. Battles with his enemy, the Toyotomi, continued however until 1615 when the Toyotomi were destroyed by the Tokugawa army at Osaka castle. Become aquainted with every art. Know the Ways of all professions. Distinguish between gain and loss in worldly matters. Develop intuitive judgement and understanding for everything. Perceive those things which cannot be seen. "An unpolished crystal does not shine; an undisciplined samurai does not have brilliance. A samurai therefore should cultivate his mind." "The man whose profession is arms should calm his mind and look into the depths of others. Doing so is likely the best of the martial arts." "The undisturbed mind is like a calm body of water reflecting the brilliance of the moon. Empty the mind and you will realize the undisturbed mind." "To be swayed neither by the opponent nor by his sword is the essence of swordsmanship." "The proper manner of calligraphy is nothing other than not being careless, but in this way one's writing will simply be sluggish and stiff. One should go beyond this and depart from the norm. This principle applies to all things." "Conquer the self and you will conquer the opponent." "The mind unmoved by external distraction produces physical mobility." "Conquering evil, not the opponent, is the essence of swordsmanship." View photos of the burial place of the 47 Ronin in Tokyo - photos section - or stop by our links page for more information on Japan and her arts.